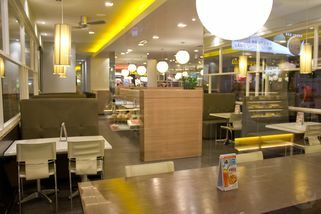 Part of the Vivo American Pizza & Panini chain. From the main entrance turn left and take the escalator in front of Papa John's down to the lower ground floor. At the end of the escalator turn left and you will face a few snack stores. Walk around it and you will find Vivo near Chatime. From the vibrant menu and wholesome meals to the bright and comforting ambience, everything about Vivo just shouts ‘live life passionately!’ the moment you step into the premises. 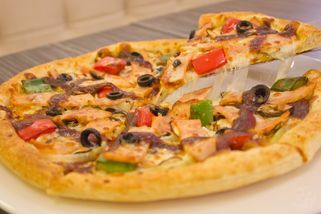 The star of Vivo is their American style pizza; baked from dough made fresh daily, quality toppings, savoury sauce and made available in various sizes with thick or thin crust choices. 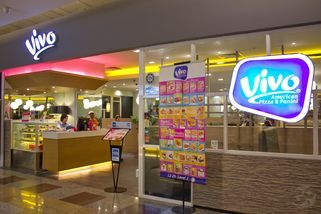 Unique to Vivo, they also serve sweet dessert pizzas. 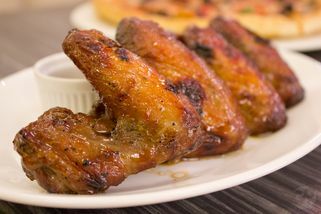 Also available are hearty main courses, wholesome Panini sandwiches, snacks and desserts so whether you’re at Vivo for a quick bite, full meal or gatherings, there’s something for every occasion. To keep things fresh, Vivo updates their menu twice a year. 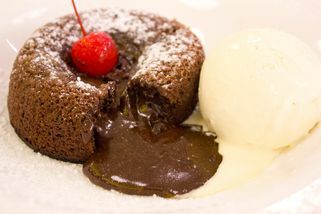 Situated in a less favorable spot in the lower ground floor of Berjaya Times Square has not fazed Vivo one bit as their food has won many returning customers throughout their years here. "I had the grilled chicken with mush..."
I had the grilled chicken with mushroom sauce. It was really good. Chicken was nicely cooked, rice was warm, mushroom sauce was perfect. It wasn't to thick and has lots of flavors. The salad that came with the dish was mediocre and forgettable but overall I enjoyed the dish. On top of that I had a mushroom and herb pizza to go. It was overpriced and horrible. It was dry, overcooked, and taste like a bag of grass. There was too much herbs and the roasted almonds did not help. Overall it tasted like a piece of overpriced burnt toast. I would not pay RM10 for it let alone RM22.90. I would return for the chicken but not the pizza. 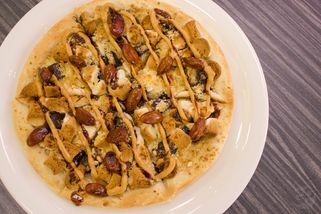 For a restaurant that claims to sell "American" Pizza and Panini, It is disappointing to see that the pizza was poorly executed and the panini -- though I did not order it, living in California for 4 years I have seen my fare share of it and it looks nothing like what they have on the menu. 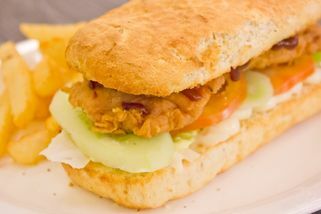 Reason I opt for the chicken instead of a panini was because what they call a panini is what Americans called a hoagie bun. Essentially calling a meatball sandwich a panini. It would fly in Malaysia but the utter disrespect and lack of awareness for American is insulting. Atmosphere was good. Quiet, Spacey, Comfortable. Waitress was nice and professional. I would return for the chicken but sadly, most of the food and drinks does not live up to it;s price. Not worth it unless you want a good piece of chicken. "Satisfying meal + Fast service"
Heard from my friend say that their pizza are nice and price are not expensive, so go there to try it. When I saw the menu, I attract by the baked meatball spaghetti because I love cheese. I'm order is a set meal, ( every-time I will check the set first before I check the Ala-carte menu.) and also the Mango Delight. The baked meatball spaghetti serving in hot pot, need carefully, cheese are not so much. I though got a lot cheese, a bit disappointed. The meat ball still can taste juicy, didn't over cook and I like the crunchy on top of the spaghetti. And the Mango delight, is mango mix with peach juice. I was there some time ago and it was pretty quiet on weekday. It is located at the lower ground floor so my friend and I decided to give it a try. We ordered mainly pizzas. It is better than the mainstream pizza outlets but no where near impressive.